I know I know, I’m late. I’m late posting, I’m late sewing, I’m late entering the HSF, basicly I’m late doing anything. “Late” seems to be my middle name lateley, but I know at least the dress will be finished before friday – when I’m going to wear it, and thats the important thing. 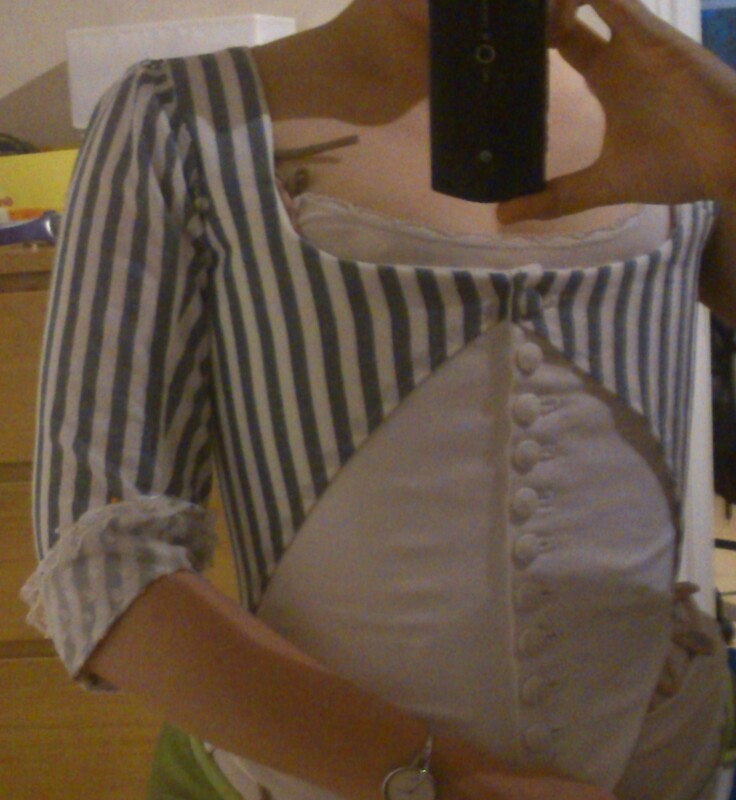 In the mean time, I will give you a quick sneek a peak of the dress that refuses to get finished in time. And to let you all know in what mood I’m in this evening – I’ll give you a hint: Maybe I should have taken this advice to heart instead of just ignore everything about it. Grr. I’m counting on things to slow down a bit after next week when my summer break starts.